People want the best home protection possible for their families, and Floridians in particular understand how important this is when it comes to hurricane preparation. As a former Florida insurance commissioner, Kevin McCarty understands this better than most. McCarty’s career with the Florida Office of Insurance Regulation began right before Hurricane Andrew devastated much of South Florida in 1992, providing him a firsthand look at how severely a storm can impact the state. Through the intensity of the 2004 and 2005 hurricane seasons, when Florida was battered by eight named storms including hurricanes Wilma and Katrina, McCarty was witness to massive disaster areas with tens of billions of dollars’ worth of damages. McCarty knows how unexpectedly dangerous and damaging hurricanes can be. To protect his own family, McCarty uses a supplemental coverage called StormPeace. Offered by Assured Risk Cover, StormPeace strengthens a homeowner’s policy with no inspections, adjusters, or deductibles by covering expenses that are normally excluded in homeowners’ policies. McCarty recognizes the reality of many families in Florida who live paycheck to paycheck – as well as the urgency to resume their lives and the helpless frustration they feel over long claim times. StormPeace offers peace of mind in these situations; after Hurricane Irma, for example, 100% of StormPeace’s policyholders were paid, with 98% of them receiving funds via direct deposit within 72 hours. StormPeace is available for homeowners, renters, and mobile homes. A claim and attestation of damage is all it takes to initiate payments, and a detailed listing of actual losses is available afterwards. The streamlined claim filing system has been modeled so the process is quick and hassle-free. StormPeace is what’s called a “parametric” insurance, meaning policyholders can receive payments once the specified parameters are met. StormPeace focuses on two predetermined factors: the distance between your property and the center of the hurricane, and the strength of the storm when it’s closest to your property. Since the parameters are easy to find out and verify, the claims process is simplified and access to funds is almost immediate. The National Hurricane Center provides real-time hurricane tracking, so once the payment conditions are met, StormPeace uses the GPS locations for insured properties to reach out to policyholders about their claims eligibility within 24 hours of the hurricane end. All that’s required is a claim and attestation of damages to receive your payment within 72 hours! All nearby hurricanes are eligible, even if they don’t actually make landfall. StormPeace understands that hurricanes can cause significant damage, regardless of landfall or not. Payments can be used for any out-of-pocket expense that directly resulted from the hurricane, including water damage of all types, as well as spoiled food, damaged pools, and fallen trees. Another potentially major expense that isn’t covered by most typical insurance policies is the cost associated with evacuating. 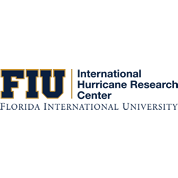 A survey by the National Hurricane Survival Initiative revealed that 40% of respondents spent $500 or more as a result of evacuating for Hurricane Irma, and 58% stayed put despite evacuation recommendations. Our phones are indispensable. Without our phone, we can’t look anything up, listen to music, communicate with others, or purchase anything. It’s our lifeline and your constant companion. So why are we still asked to abandon the “smart” part of our smartphones and use the same old dialing method when transacting with insurance companies? Admittedly, some are getting better at putting the customer experience on the smartphone. There are some great examples, like Lemonade, Metromile, and GEICO. But – and here’s the big but! – there’s still too much friction when you try to file a claim after disaster occurs. You have to look up a phone number, call the number, sit on hold, speak to three different people, provide your policyholder number (and who knows where to find that number anyway?) and wait another 15 minutes until you’re given some kind of assurance that you’re being taken seriously and someone will look into your claim. Or maybe you go to your insurer’s website and open up one of those dreaded chat windows. You can bet the uncertainty and delays only get worse when hundreds of other people are trying to get answers online after a major disaster. It shouldn’t be this difficult for the consumer. Parametric insurance has shortened the time to payment. Mobile technology has made it immediate. You can now have a claims payment hitting your bank account within hours, with no hassle or human interaction. The problem has been around forever: Too many things happen during a disaster that aren’t covered by a typical homeowners policy. With the exception of the dwelling and contents, few things damaged or destroyed are covered. Historically that put consumers in a bind, until advanced data science and computing came along and made it possible to insure all these additional risks. In fact, if it doesn’t appear in your homeowners policy, a supplemental hurricane policy will cover it. Here’s an example of how parametric and mobile are teaming up to help people recover faster. Let’s say you live in Florida and a hurricane passes through your town, toppling a huge tree in your driveway. Now you’re stranded because your car is stuck in the garage. To make matters worse, you lost power, your food is spoiling, and you can’t get out to restock until the tree has been removed. Few of us would have the cash sitting around to take care of these urgent matters quickly. If you’ve been through a hurricane, tornado, or similar disaster, you know the first 24 to 48 hours can be paralyzing. Your world is turned upside down. However, if you had purchased a StormPeace policy, you can get the money you need almost instantly. There’s a painless claims process because the computer instantly calculates how much dough you’re eligible to collect. The amount is based on the strength of the storm and its distance from where you live. So, you’re sitting on your front step lamenting your situation when all of a sudden you get an email saying you’re eligible for a claims payment. All you have to do is click “accept” attesting to the loss claims amount, and the money is wired to your bank. It’s like “found money” because you even forgot you purchased that parametric policy! And it’s a good thing your insurer notified you electronically, because your phone is about the only thing you own that’s working at the moment. Parametric insurance has been around for a while, used by many businesses. But StormPeace is one of the first companies to deliver this valuable tool to homeowners and other consumers. It provides the peace of mind that they’ll have money in their pocket to handle those surprise expenses that pop up, like needing to buy a generator, repair a pool cage or boat dock, or replant landscaping. They can also use the funds to meet their homeowners’ deductible, which can run into the thousands. Without meeting that deductible, repair work on your house will be delayed even longer. Thanks to StormPeace, all you need is your smartphone to buy an insurance policy and get paid after the storm! You can still call us, too. Visit www.stormpeace.com to get started. CLEARWATER, FL & PLEASANTON, CA — While much of Florida is still recovering from the catastrophic damage caused by Hurricane Irma, many Sunshine State residents and businesses have found there’s a way to bounce back from a storm faster than ever before. When a hurricane hits and there are immediate costs, homeowners and commercial insurance usually don’t offer a quick fix — that’s where StormPeace comes in. Unpredicted expenses such as debris removal, business interruption, spoiled food replacement, and evacuation costs rapidly add up and aren’t covered by the average homeowners and commercial insurance policy. StormPeace is parametric insurance offered by Assured Risk Cover that automatically pays eligible policyholders based on the strength of the hurricane and distance of the hurricane track at its closest point from their property. Policyholders can use the funds for virtually any hurricane-related costs. 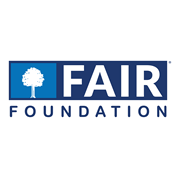 StormPeace recently partnered with the FAIR Foundation and the National Hurricane Survival Initiative to produce the 30-minute TV special, Get Ready, Florida! Through this sponsorship, the company was able to educate Floridians on how preparing early for the unexpected is necessary particularly in a state with 1,300 miles of coastline. Assured Risk Cover (ARC) is a venture-backed Silicon Valley corporation based in Pleasanton, California. ARC is founded by an experienced team of catastrophe risk professionals whose singular vision is to bring immediate financial relief to people globally following catastrophes. Alok Jha (CEO), Kanwal Rekhi (lead investor from Inventus Capital Partners) and Kevin Schrage (former President of Aon Smalln Commercial Lines) form the Board of Directors of ARC. StormPeace is backed by highly rated insurance and reinsurance companies—ranked A- and A+ by A.M. Best, respectively. For more information, visit www.stormpeace.com and www.assuredriskcover.com.